In the late 90s' of the 19th cenutry Swiss business men Hans (Joan) Gamper and his ten friends (Gualteri Wild, LluÃ*s d'OssÃ³, Bartomeu Terrados, Otto Kunzle, Otto Maier, Enric Ducal, Pere Cabot, Carles Pujol, Josep Llobet, John Parsons and William Parsons) founded FC Barcelona. The exact date of foundation is the 29th November 1889. He was born in Winterthur, Switzerland on November 22, 1877. He was the eldest son born to August and Rosine Emma Gamper. Even as a young boy he showed great interest in sports especially for football,rugby,tennis and golf. He started his career in Fc Basel and was named club captain but then he moved first to France and in 1898 he went to Barcelona to visit his uncle. In 1899 he put a note in a local newspaper, trying to attract as many football players as possible to join the club; and just one monthe later he and his friends assembled at the historic gathering at the Gimnas Sole. 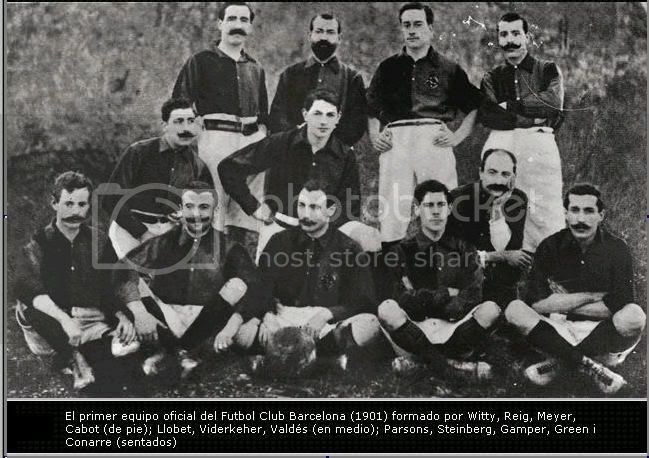 The meeting was successful and the club was established and Englishman Gualteri Wild became the first President with Gamper as the first captain of the club. In their first ever match, Barca played a team made up of English expatriates in Bonanova (now known as Turo Park). The English team, which actually included a number of Barca players, won 1-0. After the defeat moved several times from Bonanova to Casanova, Camp del Horta and Muntaner. In 1909 the club dwelled at stadium Industria which was the first field as the property of the club. The stadium capacity: 6000 spectators. Fc Barcelona played there for another 13 years. 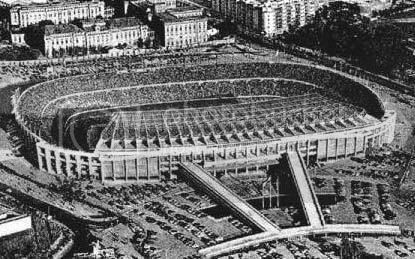 On 20, May 1922 Barca inaugurate their new stadium which was pretty modern for those times. At the begining the stadium received 30000 spectators and was later expanded to the capacity of 60000 viewers. 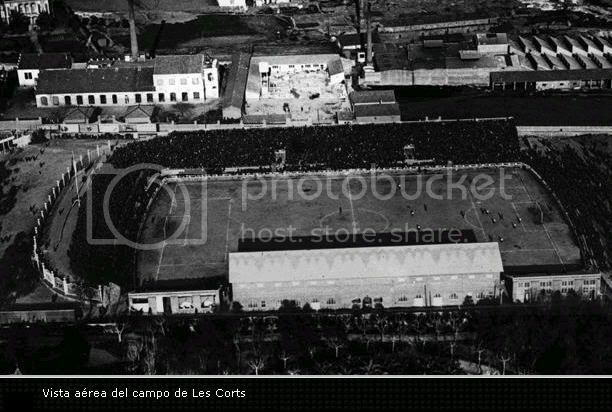 Fc Barcelona played at Les Corts for 35 years. Ladislau Kubala was too huge a figure for Les Corts and the Club went on to open the doors of the Camp Nou (1957). Some of the greatest players in the world have graced its turf (Kubala, Cruyff, Maradona, Schuster, Ronaldo...) and in the 1990s it was the scene of some of the most spectacular football ever played, thanks to the unforgettable 'Dream Team'. And while the Club keeps growing, the stadium is continually being extended and improved. The signing of Johan Cruyff put the finishing touches to a wonderful forward line of Rexach, Asensi, Cruyff, Sotil and Marcial, who led the league winning side of 1973-74. Coinciding with the club's 75th anniversary, there were now 70,000 members, making it the most powerful sporting club in the World. With the team winning the Spanish Cup in 1978, JosepLluis NuÃ±ez became President on 6th May, with a clear message of renovation and rebuilding. The club then began a considerable period of expansion and financial stability linked to an increase in members, ground improvements and, most importantly sporting success. With 30,000 Catalans present at the final, Barca won the Cup Winners Cup in 1979 and then the Spanish League in 1984, under Terry Venables, before the wonderful era of Cruyff's 'dream team' which won four consecutive Spanish Leagues between 1990 and 1994 and the European Cup on 20th May 1992 at Wembley. Then came Bobby Robson, who won the Cup Winners Cup, the Spanish Cup and the Spanish Super Cup in the 1996-97 season and Louis van Gaal's consecutive league titles in 1997-98 and 1998-99, when the team won the double for the first time in 39 years. Total of 91 Titles .... ! Last edited by Iam RMU; 10-17-2016 at 11:44 PM. Barcelona may offload Ibrahimovic to Man City. Mascherano may move to Barca to fill the void left by Yaya Toure. Mascherano INTER Milanilekku pokunnu enna rumour undallo? Benitez lavane kondu pokum ennu news undaayirunnu ( Poyaal Cambiassoyude pani pokum ) , but when Yaya Toure left for City I heard that Barca is trying to tie him , anyway there is every chance he may leave Liverpool , he hadn't renewed his contract there ....now It's an English Manager at the helm ..will prefer UK based players I think.